Grain-free paleo apple cinnamon crisp with an almond flour topping. 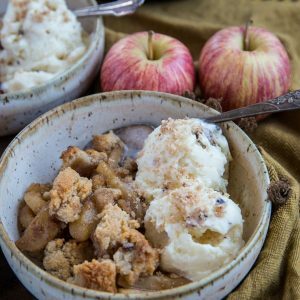 This refined sugar-free recipe contains all the comforts of classic apple crisp, but is a healthier option for those with dietary restrictions. I grew up in a household scented by freshly baked goods. Cinnamon rolls, apple pie, cookies of all types, and loaves of bread were in constant rotation to satisfy my family of 6. You see, my mom was a professional baker for a hot minute with a natural knack for all-things baked at 350. The smell of fresh apple treats baking in the oven is by far one of the most inviting aromas this life has to offer! While I don’t have my mother’s level of patience (pie crust was always my nemesis), I share her love for baking, even if my skill level is not even in the same realm by comparison. Ergo, I enjoy baking up super simple treats which are fool-proof for even novice bakers like me. If you’ve made any of my fruit crisp recipes, you’ll already be familiar with how simple they are. Most of my recipes for fruit crisp involve tossing the raw fruit into the baking dish and getting your bake on, but because apples are heartier than most fruit, I pre-cook them for a few minutes on the stove top to allow them to soften up before adding them to your casserole dish (or cake pan). This way, you aren’t baking the crisp for a long period of time and risking burning the crispy topping. 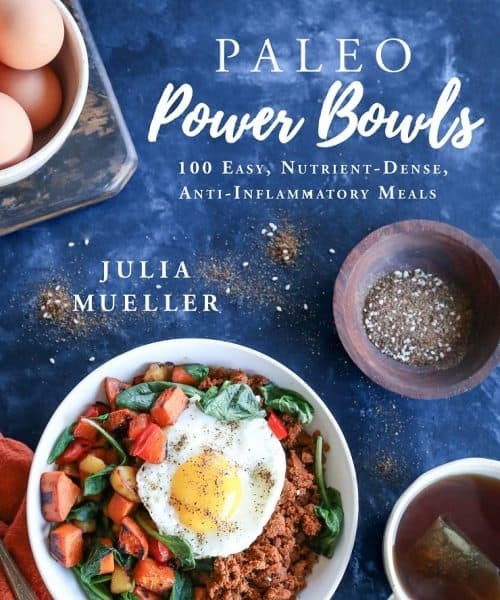 In a bowl or measuring cup, simply stir all the ingredients for the “crisp” topping – the topping is grain-free, refined sugar-free, dairy-free, and vegan. And it gets SO crispy! 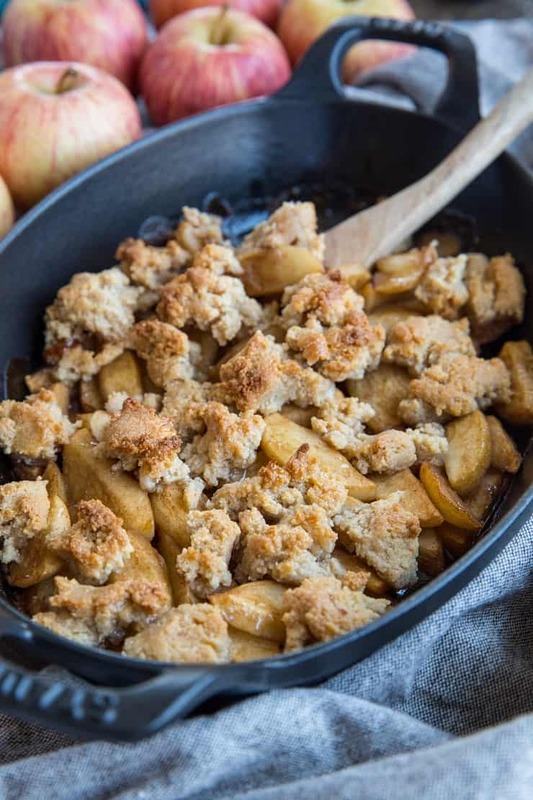 Aside from pre-cooking the apples and stirring up the ingredients for the crisp topping, simply plop everything into a small casserole dish or cake pan and bake! 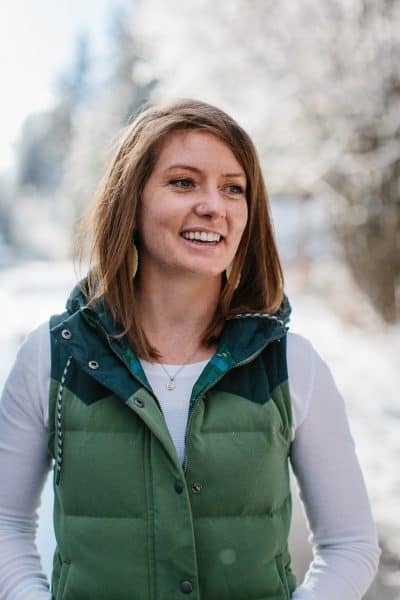 I prefer using pure maple syrup as my sweetener of choice, but you can use coconut nectar or even a sugar-free liquid or granulated sweetener. If you bake with cane sugar, feel free to use granulated or brown sugar. In essence, you have all the options! I love serving apple crisp in particular with ice cream, because, HELLO, apple pie a la mode is a thing for an actual reason. The combination of the sweet, cinnamon-y tangy apples with the smooth creamy ice cream is just so delectable! You can make my Keto Vanilla Ice Cream to keep it low in sugar, or my Keto Chocolate Chip Cookie Dough Ice Cream (as pictured). Replace apples with pears. 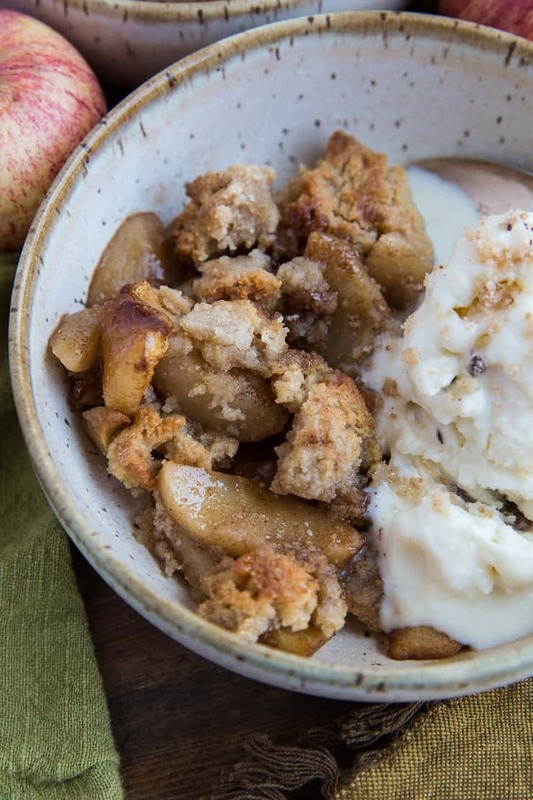 If using pears, omit the water and skip the cooking process – simply toss all ingredients for filling together in a mixing bowl, then transfer to the oven-safe dish (like my Cardamom-Spiced Pear Crumble). Replace pure maple syrup with coconut sugar. Replace almond flour with hazelnut flour. Add ½ tsp ground cardamom to the apple filling mixture for even more fall flavor. Enjoy this fall-inspired apple cinnamon delight! Heat all ingredients for the filling in a saucepan over medium heat, covered. Bring to a full boil, then reduce the heat to a simmer. Cook, stirring occasionally, until apples begin to soften, about 5 to 8 minutes. Remove from the heat. 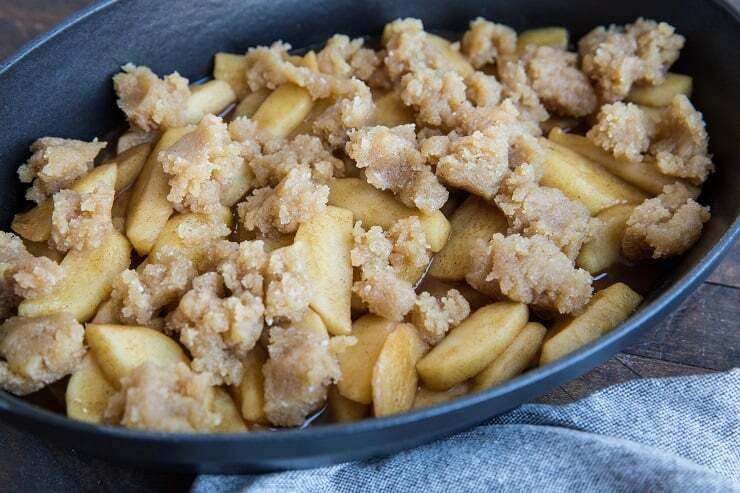 While the apples are cooking on the stove top, prepare the crumble topping. Add all ingredients for the topping to a small bowl and stir well until combined. Set aside until ready to use. 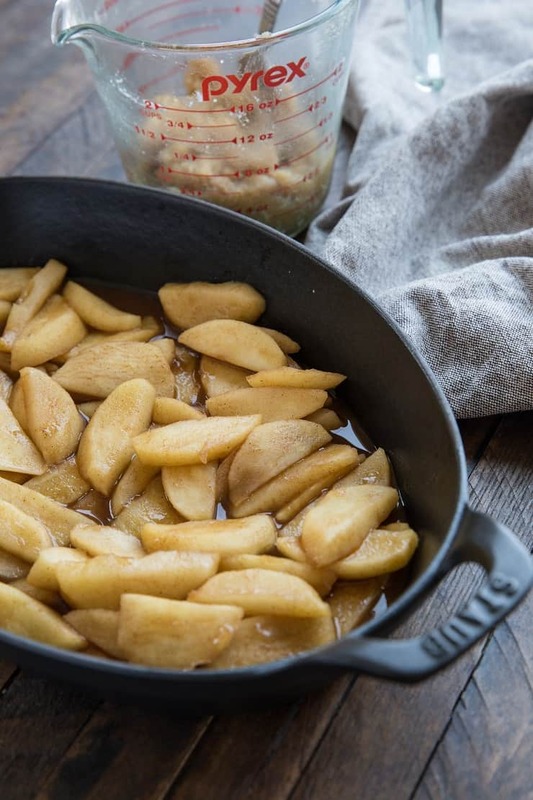 Transfer the cooked apples to an 8” x 8” baking dish or small casserole dish. 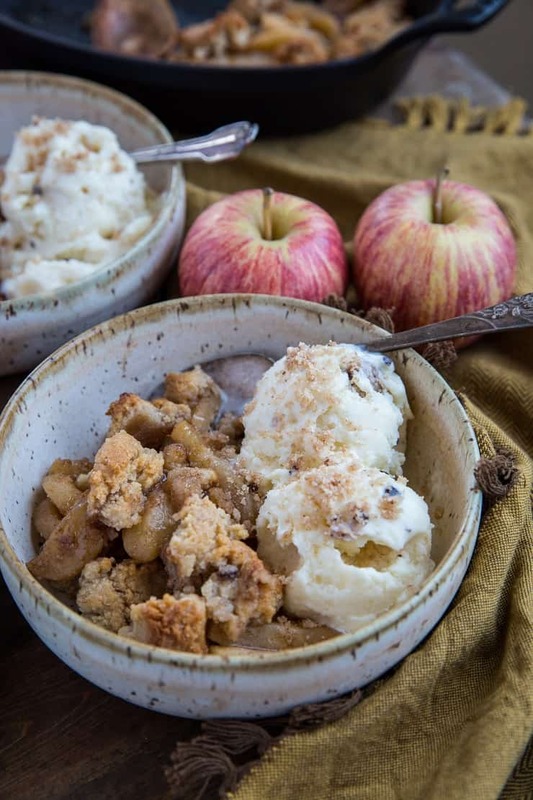 Evenly spread the crumble topping over the apples – it’s perfectly okay for this to look messy! Bake in the preheated oven 30 minutes, or until crumble topping is golden-brown and crispy. 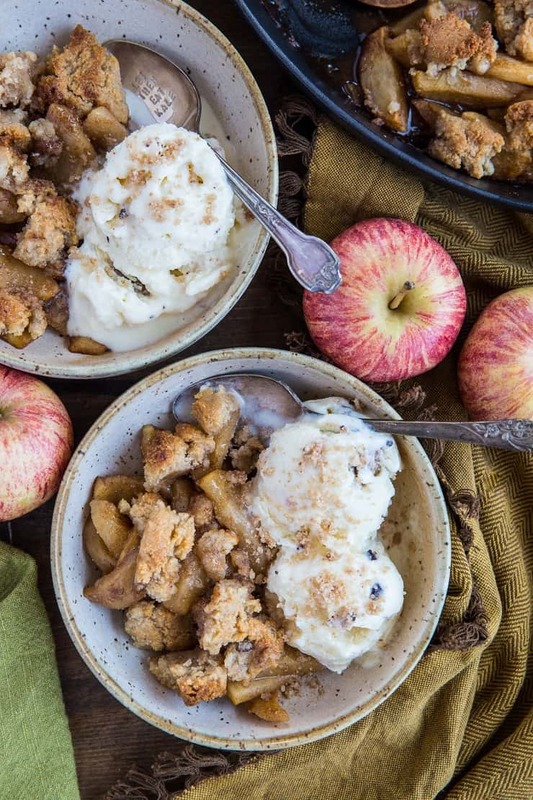 Serve crumble with homemade coconut milk vanilla ice cream. *I use gala apples, but you can use your favorite apple. This will be in our recipe file for fall, that’s for certain!! But I have to ask….What is that delicious looking ice cream you have paired with the crisp?????? Good looking crisp. Why do you precook the apples? Does the top burn if they are not precooked?